Nature, landscapes and animals are being willfully destroyed in Dersim. 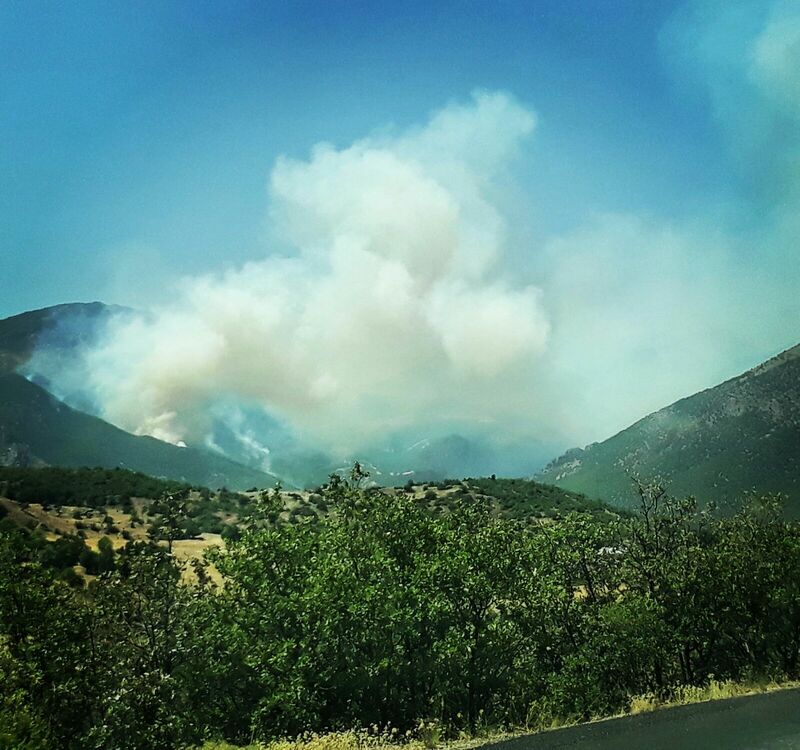 In Dersim, forests are burning and the habitat of the unique flora and fauna of Munzur are in great danger. Forests are purposfully set ablaze by the state. The official explanation is that this happens to facilitate the persecution of resistance fighters. In reality however, the whole culture and livelihood of the Dersimers is being destroyed by these actions. This approach is not new. The Dersimers have experienced through a long and sad history what such „measures“ mean. 1937/38 a cruel genocide has been commited against the Dersimers. Shortly after the Dersimers had rebuilt their villages, new acts of oppression begun in the 1990s. Villager have been evacuated, forests burned, nature has been destroyed by dams and poisoned by cyanide used for gold mining. The holy river of Munzur has been mutilated and is dying. Through the bombardement of the region, huge forest fires are spreading right now. Nobody knows how many hectars of forest have been destroyed in the course of the last two years. –	to take measures of civil protection. –	to stop the hindrance of desaster control by the local adminstration. –	to set up a parlamentary commission to examine and make public the causes of the forest fires. –	to end the state of emergency which had been declared due to the danger of a coup d’etat and is now used as a pretext for the suppression of all democratic rights. Under these circumstances, no claims can be made for the compensation of damages of nature as well as of private property. –	above all, to stop the forest fires in Dersim!